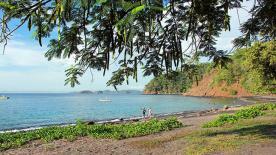 Drake Bay, or Bahía Drake in Spanish, is located in the northern part of the Osa Peninsula of Costa Rica. Osa is the most remote region of the country, and for this reason it’s a favorite among tourists who are in tune with nature and ecology. Osa and the Corcovado National Park were called the most Biological Diverse Region of Earth by National Geographic! There are now beautiful lodgings in the Drake Bay area, including resorts and eco-lodges, all in harmony with their surroundings. This bay was named after Sir Francis Drake, who discovered it during his voyage around the world in the 16th Century. Drake Bay is the adventurer and explorer’s dreamland. There are few places on Earth offering such natural bliss and peace. The scattered lodges and hotels blend in marvelously with their surroundings, making it the ideal destination for those seeking a relaxing place, away from the maddening crowd and rush. But that doesn’t mean you’ll have a hard time finding things to do! Exploring this area is so rewarding—discover miles of deserted coastline and pristine beaches. 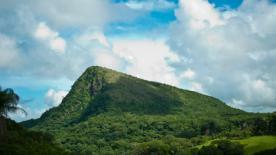 Swimming, snorkeling, scuba diving, kayaking, horseback riding, mountain bike riding, and hiking are all on the menu. Also, go sportfishing, whale and dolphin watching, or birdwatching. With its tropical climate and outstanding flora and fauna, Drake Bay is ideal for those who love to explore an untouched jungle. There are very few experiences that surpass the joy of walking through the trails of a majestic rainforest. The sounds, the smells, and the sights are unique. 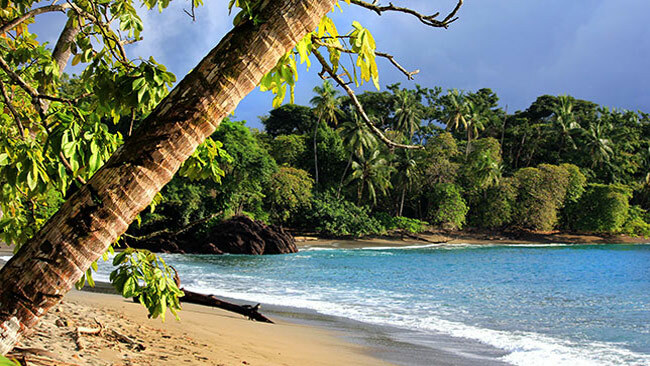 Drake Bay is one of these vacation-of-a-lifetime destinations, for an unforgettable experience in beautiful Costa Rica. The best time to visit Osa Peninsula is during the dry season, which runs from January through April, when the weather is reliably sunny and there is little to no rainfall. During the green season (May through August) afternoon showers are common, but you will get the best value for your money, as lodges drop their rates significantly. Avoid September and October as the most of the lodgings are closed during these two rainiest months of the year. Drake Bay and the surrounding area are known for their luxury, eco-lodges, environmentally responsible accommodations that combine modern luxuries with an authentic tropical experience, nestled right in the heart of verdant forests. As lodges are usually remote and approachable by boat only. You will most likely have all meals included in your stay. 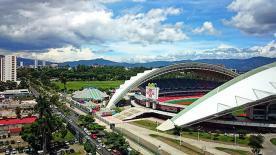 This is not an area boasting vibrant nightlife, other than in the dense jungle behind you!